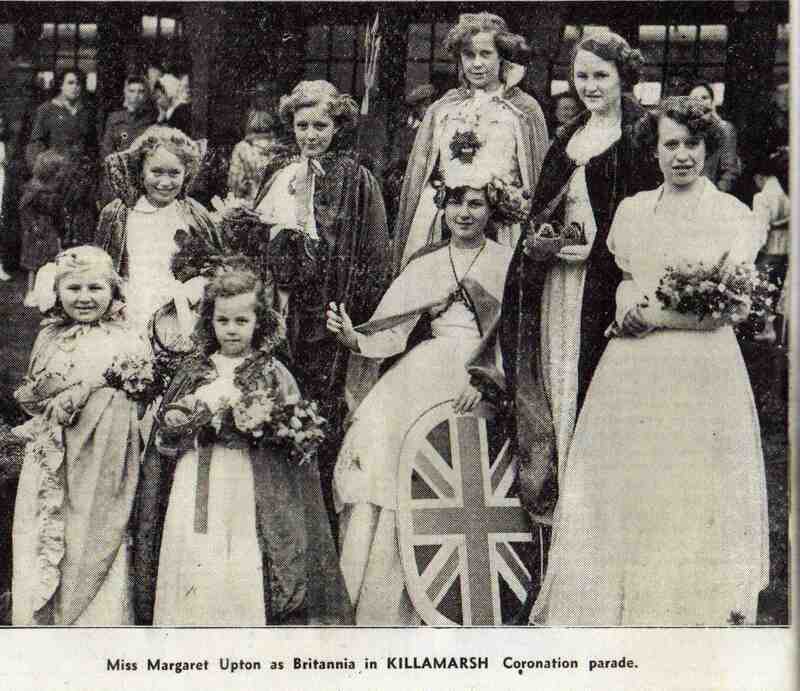 Margaret Upton as Britannia in Killamarsh Coronation parade. Photo appeared in Derbyshire Times on Friday 5 June 1953. I BELIEVE I AM ONE OF THE QUEENS ON THE FRONT ROW. I WAS KNOWN AS JEAN HINCHCLIFFE.